Nothing quite beats the feeling of walking barefooted on the beach, daydreaming over the views of blue ocean and best of all enjoying it with someone special. 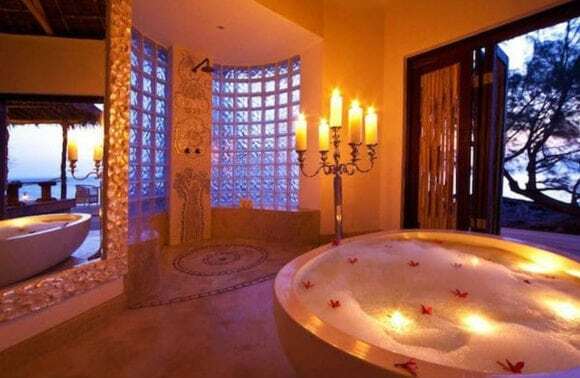 Romantic getaways are a great way to enjoy some time out, some relaxation and some quality time as a couple. What better place to do this than in Mozambique. This tropical paradise offers tourists some of the very best in holiday fun and excitement. Mozambique not only hosts an array of water activities but for those who prefer to explore on- land, there is plenty in the way of wildlife, tourist attractions and sports to enjoy. Romantic getaways to Mozambique are great at any time of the year. Moz GSA offers packages and specials that make this dreamy holiday affordable. With luxury accommodation in Bazaruto Archipelago and Vilanculos Area, Quirimbas Archipelago and Pemba Area and Southern Mozambique, there is a selection of resorts to choose from. With some resorts offering up to 50% off normal rates, 2011 is the year for romantic getaways in Mozambique. Couples are able to spend time together enjoying a variety of entertainment. There is no need to be an avid scuba diver to enjoy the wonder that is Mozambique, although the coral reefs have been compared to the likes of The Great Barrier Reef. If taking to the lively waters of Mozambique is an interest, then there are a number of ways to enjoy its warmth. Mozambique is the perfect setting for a romantic getaway. Couples are able to experience the thrills of the ocean, the splendor of romantic, luxury accommodation, sip cocktails as they enjoy the views and ocean smells and best of all, spend quality time together, making memories and enjoying some precious time out in paradise.